Beautifully remodeled, custom dream estate has too many upgrades to list! Breathtaking designer details include granite counters thru-out, SS built-in appliances, spacious master w/His&Hers walk-ins+dressing areas, luxury bath has walk-in shower w/4 shower heads (2 rain), guest quarters has private entry, recent HVAC, hardwood & tile flooring. 2 out-buildings: 1st is a 2353 sq ft amazing shop & 2nd building has full bath–perfect for guest house or office. Majestic stone gazebo & water feature w/bridge! Please, send me more information on this property: MLS# 1624983 – $535,000 – 5428 Fm 619, Taylor, TX 76574. 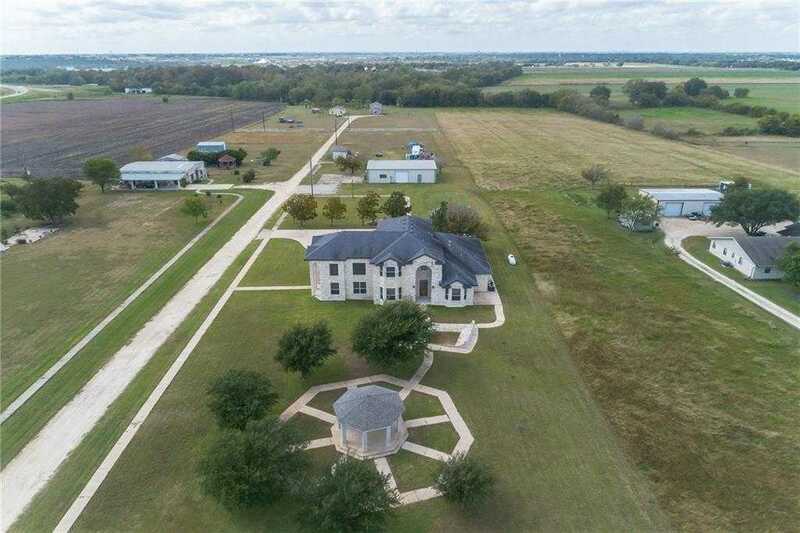 I would like to schedule a private showing for this property: MLS# 1624983 – $535,000 – 5428 Fm 619, Taylor, TX 76574.